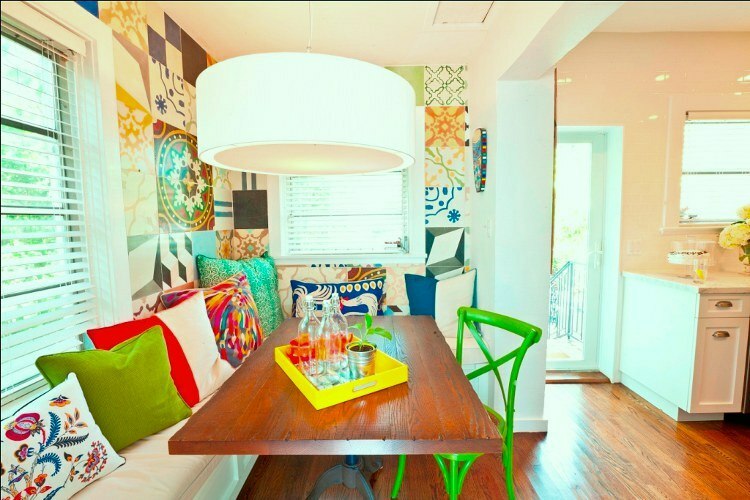 A Curated Collection of Interior Design, Contemporary Artists,Craft and DIY Projects, Vintage Finds, and All Things Colorful, Ecclectic, and Visually Inspiring. 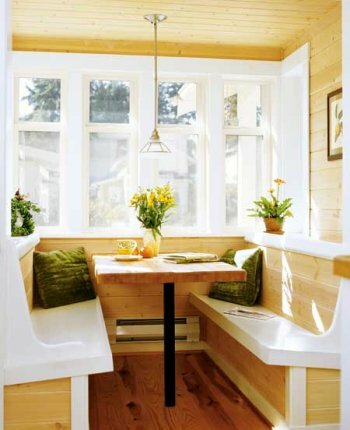 I actually prefer the casual seating in a breakfast nook/area than I do a formal dining room. Something comforting about being in such an inviting and intimate space (and closer to the fridge...) Hope your inspired! So inspiring! I love your gorgeous blog. THANK YOU darlin. Hope to see you back soon! they all are beautiful where can I get a bench like that made?